In the beginning of the twenty-first century all we can seem to see is a world of rapid change and turmoil, with the rise of a destructive right-wing nationalism, and technology outpacing our ability to understand it. At the end of the twentieth century, it seemed that the battles between fascism, communism and liberalism had left liberalism as the victor. Democratic politics, human rights and a free market capitalism that provided a strong social safety net seemed to prevail. Yet now we see those principles under threat from the rise of autocratic rhetoric and regimes in the US, Europe, Russia and Turkey. In addition, rapid developments in technology, particularly Big Data and the use of algorithms to manipulate it, are creating new and powerful forms of Artificial Intelligence, and are posing previously unimagined threats and dangers. As machines become more capable of performing roles that were once performed by humans, what will happen to the people who have pursued those tasks? As neurological scientists find out more about the way the brain functions, reducing that functionality to the bits that can be understood by technology, will computers be able to make better and faster decisions than we humans can? While this may lead to good – for example, robot doctors who constantly monitor our health or self-driving cars that can reduce the road carnage – can this technology be manipulated by authoritarian regimes to control their populace, and defeat and control their perceived internal and external enemies? 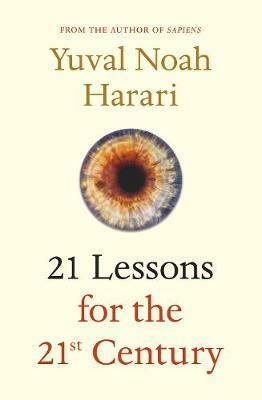 Yuval Noah Harari examines a range of possible responses, and looks at what can be done to combat the negative political disagreements that can potentially create devastating results. He ponders whether we, Homo Sapiens, are truly capable of making sense of the world we have created. With the drift away from traditional religions, we have no new stories to replace the ones we have lost. The looming ecological crisis means that we don’t have much time. This is a book in which every paragraph bristles with ideas, humane and powerful. It should be read by all of us, and particularly our leaders who so far have demonstrated very little ability to lead us through these uncharted waters.